Moving to a new country for work is a big decision for someone to make. Many times, a person must consider moving their spouse, family, and must do research on the area to see if it is even a feasible option to relocate there. While it can be difficult to finally make the decision to become an expatriate, it can also be difficult for companies to lure expatriate workers to come work for them. While providing great benefits is an obvious must-do to make the job attractive, some businesses don’t realize the extent those benefits can go to in order to assure that their workers are happy and feel taken care of which often creates a loyal employee. Here are some ideas to attract expat workers. One of the more obvious benefits to offer workers, whether they are expats or not is providing workers with good health insurance. It would be even better if you covered 100% of the premiums, leaving more money in your worker’s paychecks. Also, many companies also cover their employees with life insurance, with the amount dependent on their salary. Something that may assist a foreign worker joining your company is your willingness to assist them on their big move. Relocating from a different country can turn out to be quite the investment. Covering moving costs, or even helping them find housing could be a make or break detail that dictates their decision. If someone is moving from another country to come and work for your company, they are likely leaving behind friends, family, and a whole other life. Offering more vacation days would allow them to go back home more often to cure any home sickness they get. Many companies have expatriate programs set up to assistance their workers with settling into their new environment. Whether it is getting their kids set up in the best schools nearby, organizing events to mingle and getting to know the area, or even having someone on staff who is the go to person to answer any questions or offer any assistance to those new to the area. Every country has different laws regarding immigration and expatriates, and some governments offer more assistance than others. If you happen to live in a country who offers more assistance to expats, or it may be easier to get someone cleared to come work for you, take advantage of it. Promote it to workers, and let them know the process won’t give them a headache. Depending on the country, one perk you may be able to offer workers is more security. Many expatriate workers come from troubled areas, and the idea of move to a more stable and secure country is very appealing. Especially if they can also benefit from a stronger economy than the one back home. Many of us at MHG are expats ourselves and we understand the global insurance needs of international businesses, and individuals and families living and working around the world. Our Insurance Specialists have the experience, knowledge, and access to multiple international insurance carriers to find you the most suitable plan based on your budget and future plans. Our commitment to your well-being does not end once you have purchased a plan; through our “Concierge Broker Service”, we will continue to assist you with questions about your policy and provide assistance throughout the claims process. Call us at +1 954-828-1819 or +44 (0) 1624 678668 or visit us online at mhginsurance.com for help finding expatriate insurance coverage for you, your family or business! Moving to a new country for work is a big decision for someone to make. Here are some ideas to attract expat workers. Many people consider life insurance a luxury. They don’t see it as being important because they can’t use it while they are alive. However, that doesn’t make it any less important. Do you care about your loved ones? Do you want to leave them responsible for your debts, funeral costs, and other expenses? There is also a chance you may leave your family with a reduced income which could make things very difficult for them. These are common reasons why everyone should consider purchasing a life insurance policy. But one reason you may not have considered is to protect your business. Owning a business is a great accomplishment for any individual or family. You get to be your own boss, make your own rules, and hopefully reap most of the rewards from your company’s endeavors. While there are many positives to owning a business, there also comes many obligations as well. Do you have a lot of overhead? 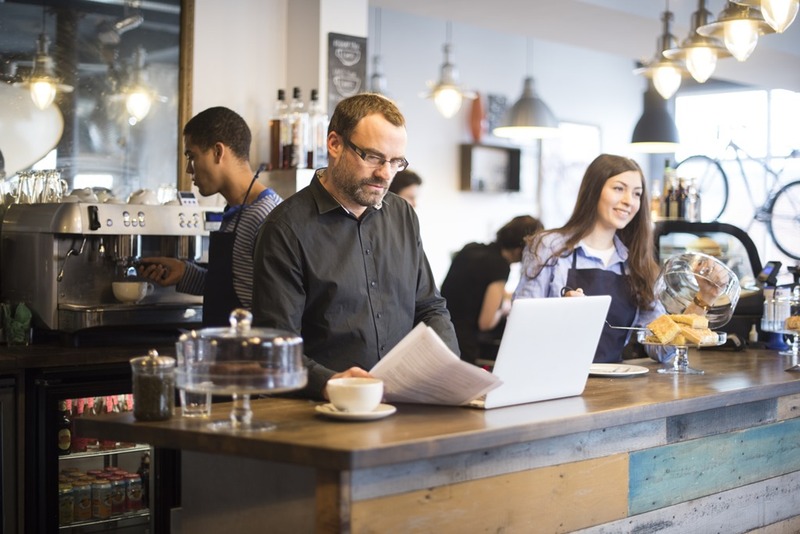 As you know operating a business requires increases expenses, which is why you should consider protecting them with life insurance. 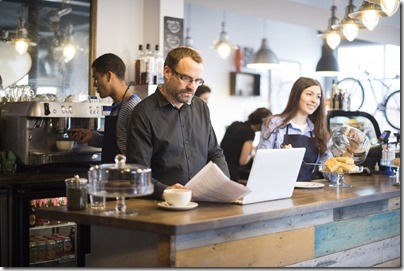 Most people that open a business or are working to grow and expand take on debt to do so. Taking out a life insurance policy can help payoff that debt in the event of your death. One important thing to note, if you are a sole proprietor, your business and all its debts will be left to your family. So, whether your business will be kept or sold, your loved ones will be able to reap more of the proceeds. If you have business partners, it would be ideal for all of them to get a life insurance policy as well. Many smaller businesses have agreements in place that organize the transfer of ownership from the deceased to the surviving partner(s). The loss of a business partner could leave you and the reaming partners left with more financial obligations which could hurt the company, and even force it to close. When a partner purchases a life insurance policy, they will need to leave the death benefit for the other business owners so that the benefit goes to the business. Do You Rely on Key Employees? While owners and partners share an important role in the success of a company, there are also key employees that you may rely on as well. These could be sales people, managers, creative personnel, and even administrators. The sudden death of a key employee could impair the operation of your business. 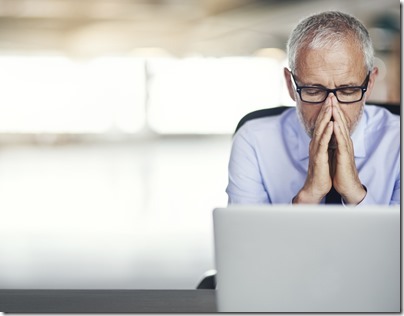 To protect your company from that, you can take out a key employee life insurance policy that will pay your company a benefit if something were to happen to said employee. You will be responsible for the premium, and how much coverage you would like to take out. You may also be allowed to borrow against the policy, and use the benefit any way that would benefit the business. Keep in mind that life insurance doesn’t replace someone’s income, value, or even an employee. It will only offer a one-time benefit to get you, your loved ones, or your business through a difficult time and situation. There are many things to take into consideration when making the decision of which type of policy is best for you, your family, or loved ones. For help trying to figure out which policy is best for you, read our previous blog, “What Are My Life Insurance Options?” Are you interested in purchasing Life Insurance or International Life Insurance? Would you like some more information regarding Life Insurance options that are available to you? Would you like to ask some questions to a Life Insurance expert? If the answer to any of these questions is yes, please contact us 954-828-1819 or visit us online at mhginsurance.com and talk to one of our insurance specialists for help in selecting Life Insurance and other coverage to ensure that you and your loved ones have the protection you need at every stage of life. Many people consider life insurance a luxury. But did you know you can use it to protect your business? Read more! Employer Sponsored Life Insurance May Not Be Enough! Employer based benefits can be hard to come by in today’s world. What used to be a given, has now turned into something should be cherished as so many companies have cut back on the benefits they provide to their employees. Benefits such as health insurance, 401k, disability insurance, and life insurance are things that employees must consider if not already provided by their employer. Even if these benefits are provided, there is a good chance that the coverage provided isn’t enough, especially life insurance. While having employer sponsored life insurance is a great benefit, it may not be the best idea to fully rely on your employer to provide all of the life insurance coverage you need. There are several different scenarios that can put you and even your family in a tough position, or even leave gaps in your coverage. Losing your job is one of the main reasons you should consider purchasing more life insurance coverage. One reason is because your life doesn’t stop if your job does, which means that your life shouldn’t stop being covered. Losing your job doesn’t take away your debts, and doesn’t provide your loved ones with financial coverage if something unexpected were to happen to you. The past several years have been tough on businesses. Decisions have had to be made about lay-offs, downsizing, and budget cuts. One area of the budget that may have been cut is employee benefits. Companies are required to provide its employees with a certain amount of benefits, depending on the size of the company. However in an effort to maximize profits, more and more companies are cutting back the amount of benefits they provide to their employees to the minimum required by law. In the event that your company decides to reduce your benefits, you may be left needing coverage! Typically, if you are lucky enough to have a job that includes life insurance as one of the benefits, there is a good chance that the coverage it provides is not enough. Most cases, the company will provide a policy that worth double the employee’s salary. So if you earn a salary of $50,000, your life insurance policy would be $100,000. For some that would be enough coverage, depending on how many children the person has, or how much debt the person is in. Would a life insurance policy that was double your salary be enough to cover your mortgage, provide stability for your loved ones, and pay for a funeral? Do you like to travel? Who doesn’t day dream of seeing a different part of the world from time to time? It’s important for you to know that most life insurance policies to do not provide coverage internationally. So when seeking additional coverage, you may want to consider a policy that includes international coverage. Are you interested in purchasing life insurance? Would you like some more information regarding options that are available to you? Would you like to ask some questions to an insurance expert? If the answer to any of these questions is yes, please contact us 954-828-1819 or visit us online at mhginsurance.com and talk to one of our insurance specialists for help in ensuring you and your loved ones have the protection you need at every stage of life. There are many things to take into consideration when making the decision of which type of policy is best for you, your family, or loved ones. For help trying to figure out which policy is best for you, read our previous blog, “What are My Life Insurance Options?”. While having employer sponsored life insurance is a great benefit, it may not be the best idea to solely rely on it for the coverage you need. 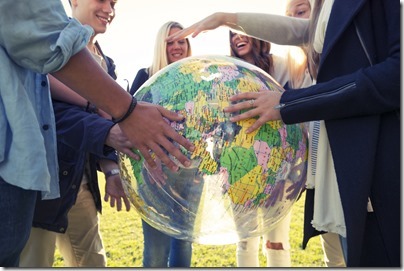 Does Your Life Insurance Cover You Outside You Home Country? Having life insurance should be a priority for everyone! Life Insurance can be a topic that is difficult to plan for, and may be something you don’t want to think about. However, no matter what stage you are at in life, it should be a priority. If you are a young person just starting your career, now is the time to purchase a policy so you can lock in a lower premium. If you are a bit more established with children, what will happen to them if something happens to you? If you are about to retire and move to your dream house in the tropics, how will your spouse pay for the mortgage if the unexpected happens? When purchasing a life insurance policy there are a plethora of things to consider; such as the amount of the benefit, the beneficiaries, and what actions are actually covered. One thing that may be assumed is that the coverage will be provided no matter where you are in the world. However, that is not always the case. For the most part, life insurance policies only provide coverage in the country they are purchased. That latter set of questions can be crucial if you are a person who travels a lot. Retirees traveling the world, yacht crew, and cruise ship workers are just a few of the people who may need international coverage. Typically, if you are in a foreign country for 3 or more months, your life insurance will not offer the coverage if something were to happen to you. 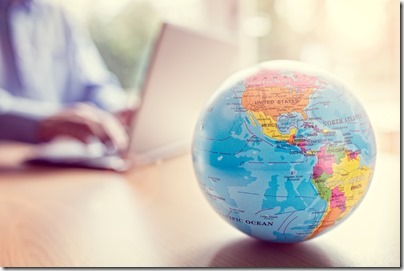 So if you are a world traveler, or hope to move to a foreign country one day, or are an expat who looks to settle down back home when you are done with your career abroad, it may be smart to look at your policy and see if you are covered. If being away from home for long periods of time applies to you, then international life insurance should be a priority. Deciding if you need the extra coverage is the easy part, now comes what type of policy is right for you! A large number of our clients work internationally, and could greatly benefit from having an international life insurance policy. In fact, many of our employees are expats themselves, and have personal and professional experience that can be used to assist you. It should also be noted that the price for international coverage policies are usually comparable to those that don’t have international coverage. Did you know? 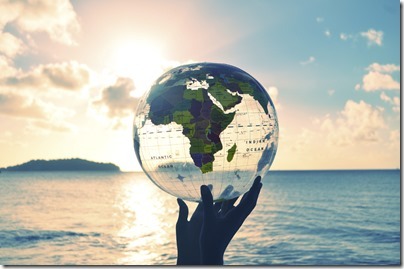 Your life insurance may not cover you internationally! Read more. Looking to Become an Expat? Here are Some Countries to Consider! Are you looking to move and start a new life? Becoming an expatriate is one of the best ways to make a new start. Moving to a new country, creating a new home, making new friends, it can be a very fulfilling experience. One of the hardest decisions can be deciding where to move. After all, the world is a big place and it can be difficult deciding on one location. So if you are looking to make the big jump but are having trouble deciding on where to go, use the list we complied of some of the top places to be an expat! According to InterNations, Ecuador is the highest ranking country in the world for overall satisfaction of expatriates. Although the language barrier can be difficult to overcome, it can be very easy to make new friends in Ecuador. It also offers a low cost of living, with growing downtown areas in cities such as Quito and Guayaquil which is creating a plethora of job opportunities. Switzerland is notorious for having some of the world’s best banks and financial companies. With so many foreigners investing in their financial industry, it has helped create a high standard of living. English is commonly spoken helping to make it easier to adapt and settle down. Switzerland is also full of crystal clear lakes and beautiful mountains which makes it perfect for those who love the outdoors and wish to live an active lifestyle. One of the biggest draws for expats going to Singapore is the opportunity to earn a higher salary. A higher salary may be needed for those with children, as schooling here can be quite costly. Even though schooling is costly, it may be well worth it as Singapore is home to some of the best schooling in the world. Some other great benefits of living here are a great public transportation system, a stable economy, and low tax rates. Oh Canada! Canada is a beautiful country that can offer wilderness and one of a kind natural beauty, and also appease to those who wish to live in a metropolitan area. One reason expatriates may be drawn to live in Canada is their national healthcare system. While the majority of Canadians speak English, Canada has a multicultural population with a plethora of friendly locals to help make it easier to settle in to your new country. Just make sure you pack some jackets! Who wouldn’t want to live in a tropical climate? Or in a place that is home to some of the world’s most beautiful beaches and islands? Aside from Thailand being an exotic location, there are many benefits for expats besides the tourist attractions. Some benefits include a low cost of living and a friendly tax system. Also, Thailand’s capital city, Bangkok, offers plenty of employment opportunities to expatriates. Many people who visit Australia never want to leave. This could be why there is such a large number of expats living there. Australia offers people a great quality of life, breathtaking landscape and wildlife that can’t be seen anywhere else in the world, and we can’t forget the beautiful beaches. Think about it, how cool would it be to say that you live “down under”? Moving to a new country can be an amazing experience, however if you decide to move back home there are some things you should be aware of. For more, read our previous blog, “What to Expect When Repatriating”. For those that are preparing to move to a new country, read our Expat Checklist for a to-do list to complete before the big move. If you are interested in more information about Expatriate Insurance, or are interested in purchasing Expat Insurance, contact us at +1 954-828-1819 or +44 (0) 1624 678668 or visit us online at mhginsurance.com for help finding expatriate insurance coverage for you, your family or group! The world is a big place and it can be difficult deciding on one location. So if you are looking to make the big jump to become an expat, use this list we complied of some of the top places to be an expat! Four! Are you ready for a golf getaway? Golf is one of the most popular sports in the world, and often times one of the few activities that can be associated with business and leisure. Some of the largest business deals have taken place on a golf course. 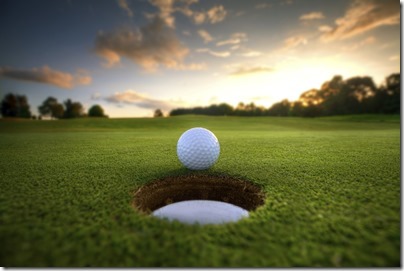 In fact, golfing is one of the few sports that can be the purpose of a trip or vacation. Many of those who play regularly dream about playing on certain courses around the world. It might be time for you to start panning a golf getaway at one of these amazing places! Those who follow golf know that Scotland is the birthplace of the sport. Scotland is also home to the most famous golf course(s) in the world, St. Andrews, which is also considered the home of golf. St. Andrews has hosted The Open Championship, also known as the British Open, a whopping 29 times! What golfer wouldn’t play the same course that many of the world’s best play? Don’t forget about all that Scotland has to offer outside of golf. Bagpipes, scotch, kilts, seemingly endless rolling hills, you’ll be sure to enjoy every moment on the course as well as off. Everyone celebrates St. Patrick’s whether of Irish decent or not. Maybe it’s time you go experience the home of the Irish this St. Patrick’s Day! Ireland is home to the K Club, which should be on every golfers list. With two courses designed by none other than Arnold Palmer (the person, not the drink), you’ll feel right at home when stepping onto the green. Many people associate a trip to South Africa with safari tours, and wildlife expeditions. But did you know it can also be a top golf destination? South Africa is home to one of the world’s famous courses, Francourt. Francourt has hosted several prestigious tournaments including the President’s Cup! Where else in the world can you go play a round of golf, then go on a safari? Many people consider New Zealand home to the some of the jaw dropping natural beauty the earth has to offer. You can see and experience landscape and scenery that looks straight out of a movie. Could you imagine playing a round of golf surrounded by all of that beauty? Try playing a round or two at Kinloch, the only golf course in New Zealand designed by arguably the greatest golfer of all time, Jack Nicklaus! For more help when traveling overseas, read our previous blogs, “Tips for Traveling Abroad” and “5 Tips for Surviving Your Next International Flight.” We wish you safe travels along your journey. If you are interested in purchasing travel insurance, or have any questions or concerns, please contact us at +1 954 828 1819 or +44 (0)1624 678668 or visit us at mhginsurance.com. Our insurance brokers have the experience to assist you in selecting the right plan for you, with the best value. Golf is one of the most popular sports in the world, and the setting for many business deals. Find out where you should plan to play! Do you ever find yourself too busy to exercise? Is working a full time job making it difficult for you to find the time to stay active? Trying to find time for yourself, or time to work out can be quite a challenge when working full time. After all, spending the majority of your day at work and battling rush hour can take a lot of energy. Yet, there still is no excuse for taking care of yourself. Living a healthy lifestyle is important, and sometimes it can feel like work gets in the way of that. So if you find yourself willing to try something new in order to stay active while working full time, follow some of these great tips! 1. Get Up Early Waking up early can be a drag if you aren't a morning person. Hitting the "snooze" button is almost unavoidable. While it may take some will power and extra motivation, getting up earlier to work out can have an amazing impact on your day. For one, exercising in the morning is a great way to start the day, get your blood pumping, and give you that feeling like you are ready to take on the world. You will even find that by working out in the morning that you may be sharper throughout the day. 2. Ride Your Bike or Walk to Work One fun way to try and stay active is to walk or ride your bike to work. While this option may not work for everyone, those that live in close proximity to their job should give it a try. Enjoy the scenery, get some fresh air, and have some time to clear your mind before starting your day at the office. The best part is that you will be saving money on gas! 3. Take Periodic Walks While on the job, you want to be productive as you possibly can. So taking a long walk might be a bad idea. However, try breaking that long walk into shorter ones throughout the entire day. Use a bathroom break to walk around the building for a few minutes. Doing this every couple of hours will add up, and by the end of the day you might be surprised how much you have walked. Try wearing a pedometer to help keep track of your steps and help you reach any daily goals you might have. 4. Join a Gym Close to Work If you work close to a gym, consider getting a gym membership there. You can go for a work out on the way in or just after you get off. Waiting until you get home to exercise is another option, but after having along day on the job and having to battle through rush hour can leave you feeling exhausted by the time you get home. 5. Use Your Lunch Break Going on your lunch break is one of everyone's favorite parts of the day. If you plan on eating at nearby restaurant or are picking up food to take back, try walking instead of driving. Or if you joined a nearby gym, try going there during your lunch break to save time. Just be sure to shower before heading back to the office, no one wants to sit next to the sweaty person. Here at MHG Insurance Brokers, we look forward to sharing tips and information with you that may help keep your stress levels down, and your quality of life up! For more information on the criteria for individuals, read our previous blog, “New Open Enrollment Dates and Penalties!” Whether you are purchasing health insurance for the first time or already have a plan in place, or are simply looking for better coverage, we want to help you find an affordable health plan that works for you. MHG Insurance Brokers is an Affordable Care Act certified insurance brokerage, and can offer you expert advice and solutions for you, your family, or your business. If you have any further questions or concerns about the Affordable Care Act and open enrollment, please feel free to contact us here by calling 954-828-1819, or visiting mhginsurance.com! Don’t forget, Open Enrollment began on November 1st and runs through January 31st, 2016. Why It's Great to Be an Expat in Hamburg! Achtung! When thinking of Germany, there are a few things that come to mind like Oktoberfest, the Autobahn, German automobiles, etc. Germany is considered to have one of the top economies in the world, with major international companies such as Mercedes-Benz, BMW, Adidas, and Allianz based within its borders. Germany is also one of the most popular migration destinations in the world, partly because it is famous for having a universal health care system. You'll have no problem finding fellow expatriates and making lifelong friends with others who are going through the same experiences as you. So start brushing up on your German, and get ready to make the transition of a lifetime to Hamburg, Germany! Home to over 1.7 million people, Hamburg is the second largest city in Germany and the eighth largest in Europe. One of the reasons Hamburg is a great place to live is because there is such a large international community, creating somewhat of a “melting pot”. There is so much creativity throughout the city, from the art, to the architecture, to the food, it is easy to see the impact of many different cultures living in one place. Hamburg is unlike many of the other cities in the country. There is a rich maritime history, diverse cultures, and always something to do. You also may notice that there are a plethora of bridges, over 2,300 to be exact! That is more than London, Venice, and Amsterdam combined! The city is located on the southern point of the Jutland Peninsula, right on the River Elbe. Since it is so close to the North and Baltic Seas and located right on a major waterway, Hamburg is the largest port in all of Germany. Over time, Hamburg has become a very important trading hub due to its port and harbor, and today it is one of the busiest ports in Europe, second only to Rotterdam. It’s no wonder Hamburg has such a rich maritime history dating back to its establishment in the 12th century. You can learn more about its history at many of the museums in the city, and there are tons of other things to do involving the water! Also, due to its close proximity to many bodies of water, it is also one of the best places in Germany to get fresh fish. There is always something to do in Hamburg; different festivals, a variety of community events, and seemingly never ending options for night life, it will be hard for you to find yourself “bored”. Hamburg also has a great shopping district. Everything from worldwide household brand name stores, to local boutiques that are sure to offer items that can’t be found anywhere else. 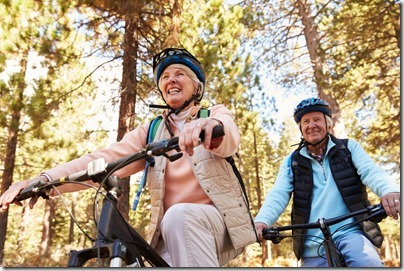 It is also easy to stay active as many choose to walk or bike everywhere. Many of us at MHG are expats ourselves and we understand the global insurance needs of international businesses, and individuals and families living and working around the world. Our Insurance Specialists have the experience, knowledge, and access to multiple international insurance carriers to find you the most suitable plan based on your budget and future plans. Our commitment to your well-being does not end once you have purchased a plan; through our “Concierge Broker Service”, we will continue to assist you with questions about your policy and provide assistance throughout the claims process. Call us at +1 954-828-1819 or +44 (0) 1624 678668 or visit us online at mhginsurance.com for help finding expatriate insurance coverage for you and your family or business! Home to 1.7+ million people, Hamburg is the 2nd largest city in Germany, and a great place to live. Learn why you'll never be bored calling this place home. Burlington, Vermont Burlington happens to be the largest city in Vermont, however that isn’t the reason you should be planning a stay in this city. Step outside, take a deep breath, and smell the autumn in the air as you gaze upon colorful leaves and natural beauty. For those who are looking to get in touch with some American culture, you can visit the Shelburne Museum. Kyoto, Japan The fall season is one of the best times to visit Kyoto. Being able to see the leaves changing from green, to yellow, orange, and red among the unique Japanese architecture is a one of a kind experience. Some places that are considered “must-see” include the Imperial Palace, which was at one point the palace of the ruling Emperor of Japan, Arashiyama Bamboo Grove, a bamboo forest full of wildlife will offer an experience that you won’t be able to replicate anywhere else, and Kinkaku-ji (Golden Pavilion), which serves as a Zen Buddhist temple and is one of the most popular buildings in Japan. Toronto, Canada Toronto is considered the “New York City of Canada!” Visiting this great city in the fall is perfect timing, right in between when it is scorching hot from the summer, and freezing cold in the winter. There is so much to do in Toronto, you may want to book a second trip before you are finished with your first. Go to the top of the CN Tower and stand in the middle of Toronto’s skyline. Or visit the Distillery District where you can choose from different café’s, galleries, and a brewery to pop in to and get cozy. A place famous for maple trees, how could you not want to see the giant maple leaves turn and signal the fall season? Cumbria, England Those who love the outdoors will be in heaven in Cumbria as it is one of the best places in England to get in touch with nature. Take a walk or a bike ride along one of the many lakes in the Lake District and feel the crisp autumn breeze come off the water. Or visit Carlisle Castle which is over 900 years old, and was the site of many battles. Any trip to this area is incomplete without a visit to Hadrian’s Wall which served as the northern limit and a defensive structure for the Roman Empire. It’s easy to see how this is Northern England’ most popular tourist attraction! Perthshire, Scotland It makes sense to visit a place nicknamed “Big Tree County” in the fall. Perthshire is home to ancient forests which are sure to offer sites you have never seen before. Gargantuan trees with leaves falling and turning colors, you’ll definitely be taking some back home for the scrap book. Go on an adventure and go white water rafting, or visit the Scottish Highlands, and of course you can’t visit Scotland without playing a round of golf at one of the world’s most famous courses. If you’re feeling lucky, take the short trip to Lock Ness and see if you can get a glimpse of Nessie! Great Smoky Mountains National Park, Tennessee Who doesn’t want to get away from society and go unwind on a secluded vacation? A trip to the Smoky Mountains will get the job done. Stay in a cabin in the mountains where all you have to do is wake up and look out your window to see the colors of fall. This time of year is a great time to visit as you will see the orange, red, and yellow leaves throughout the mountains with rivers winding through creating waterfalls that are sure to take your breath away. Napa, California Who needs an excuse to go to “Wine Country?” Drink wine, sip wine, taste wine, and drink some more wine, sounds like those are all the reasons I need! Tour some of the world’s most famous vineyards as you gaze upon endless rolling hills of colorful grape vines. Stay at a quaint bed and breakfast, or a luxurious resort, Napa can cater to all. Douro Valley, Portugal Douro Valley is quickly becoming one of Europe’s great wine destinations. Get away from the hustle and bustle and have a hillside picnic in the vineyards, or eat at some of Portugal’s best restaurants. Oh, and drink some wine! Bruges, Belgium If you’re a history buff, Bruges should be at the top of your list. When visiting this historic city, the architecture will make you feel like you are back in the medieval times. A visit to this city isn’t complete without going to the Historic Centre where you can see original Gothic buildings dating back hundreds of years. Bruges is a canal-based city much like Venice or Amsterdam, so don’t leave without having a romantic boat ride with your significant other through the city, as you cuddle together in the cool fall temperatures. Vienna, Austria Considered by many to be one of the most beautiful cities in the world, Vienna should be a top destination for everyone. When in Vienna, you’ll be surrounded by some of the world’s most distinct architecture, such as St. Stephens Cathedral. Go for a stroll along the Danube and see the leaves floating in the water. Or visit the Haus der Musik, a museum for sound and music, which is fitting given that both Mozart and Beethoven considered Vienna home at one point. Visit mhginsurance.com or call +1 954 828 1819 or +44 (0) 1624 678668 for help in selecting the plan that fits you best. Check out our previous blog, “Tips Everyone Should Follow When Traveling Abroad,” as it is important to have proper travel insurance coverage in case of an unexpected emergency while traveling abroad. Our insurance specialists have the knowledge and experience to offer advice or help select the best insurance plan for your needs. Safe travels!